BRYAN EATON/Staff photo. 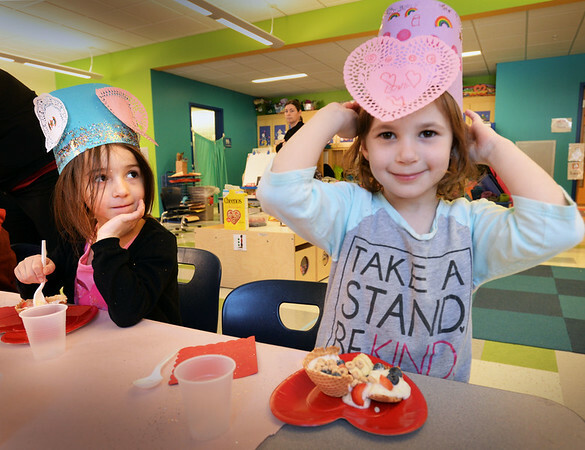 Molly Mosquera, left, and Teigan LaFrance, both 5, wear Valentine hats while eating "friendship Sundaes" made of waffle cone bowls, yogurt and fresh fruit. They were at a Valentine's Day party in Giavanna Foster's pre-K class at the Bresnahan School in Newburyport.